Why choose Flexible Date Tickets? There is no need to choose a start date for your visit! Details... 5 days of park-hopping in Disney World. The first day of use of your ticket can be any day on or before December 31, 2019. Plus, you have 14 days (from first use) to use all your ticket days. Details... 5 day Park Hopper PLUS Disney ticket with hopping and 5 admissions to the water-parks. The first day of use of your ticket can be any day on or before December 31, 2019. Plus, you have 14 days (from first use) to use all your ticket days. Details... 6 days of park-hopping in Disney World. The first day of use of your ticket can be any day on or before December 31, 2019. Plus, you have 14 days (from first use) to use all your ticket days. Details... 6 day Park Hopper PLUS Disney ticket with hopping and 6 admissions to the Disney water-parks. The first day of use of your ticket can be any day on or before December 31, 2019. Plus, you have 14 days (from first use) to use all your ticket days. Details... 7 days of park-hopping in Disney World. The first day of use of your ticket can be any day on or before December 31, 2019. Plus, you have 14 days (from first use) to use all your ticket days. Details... 7 day Park Hopper PLUS Disney ticket with hopping and 7 admissions to the water-parks. The first day of use of your ticket can be any day on or before December 31, 2019. Plus, you have 14 days (from first use) to use all your ticket days. Details... Enjoy 10 days, one park per day, at Magic Kingdom, Epcot, Hollywood Studios, or Animal Kingdom. The first day of use of your ticket can be any day on or before December 31, 2019. Plus, you have 14 days (from first use) to use all your ticket days. Details... 10 days of park-hopping in Disney World. The first day of use of your ticket can be any day on or before December 31, 2019. Plus, you have 14 days (from first use) to use all your ticket days. Details... 10 day Park Hopper PLUS Disney ticket with hopping and 10 admissions to the water-parks. The first day of use of your ticket can be any day on or before December 31, 2019. Plus, you have 14 days (from first use) to use all your ticket days. Details... Enjoy 7 days, one park per day, at Magic Kingdom, Epcot, Hollywood Studios, or Animal Kingdom. The first day of use of your ticket can be any day on or before December 31, 2019. Plus, you have 14 days (from first use) to use all your ticket days. Details... 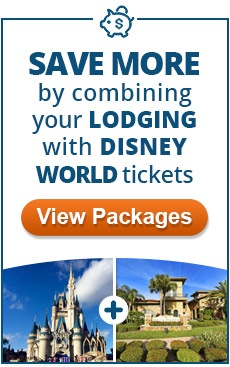 Enjoy 3 days, one park per day, at Magic Kingdom, Epcot, Hollywood Studios, or Animal Kingdom. The first day of use of your ticket can be any day on or before December 31, 2019. Plus, you have 14 days (from first use) to use all your ticket days. Details... Enjoy 5 days, one park per day, at Magic Kingdom, Epcot, Hollywood Studios, or Animal Kingdom. The first day of use of your ticket can be any day on or before December 31, 2019. Plus, you have 14 days (from first use) to use all your ticket days. Details... Enjoy 6 days, one park per day, at Magic Kingdom, Epcot, Hollywood Studios, or Animal Kingdom. The first day of use of your ticket can be any day on or before December 31, 2019. Plus, you have 14 days (from first use) to use all your ticket days. Details... 4-Day Base Disney Ticket. You have 14 days (from first use) to use all your ticket days. Details... 1 Day Disney Base Ticket good any time of the year for admission to any one (1) Disney World Theme Park. Details... 3 days of park-hopping in Disney World. The first day of use of your ticket can be any day on or before December 31, 2019. Plus, you have 14 days (from first use) to use all your ticket days. Details... This ticket is a 2 day base ticket. Good for 1 day at one Disney theme park and another day at that same park or one of the other 3. This is NOT a park hopper. Details... 2 day Disney Hopper . 2 Days of Unlimited Admissions to ALL 4 Disney Theme Parks. You don’t have to wait in the long lines at Disney when you pre-order your tickets! Details... 3 day Park Hopper PLUS Disney ticket with hopping and 3 admissions to the water-parks. 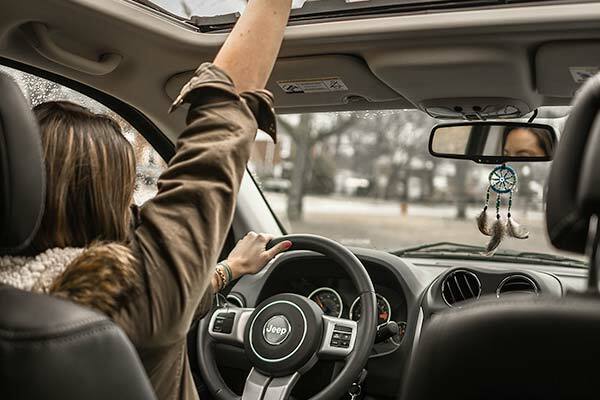 The first day of use of your ticket can be any day on or before December 31, 2019. Plus, you have 14 days (from first use) to use all your ticket days. Details... 1 day Disney World Hopper. This ticket is good anytime at any of the 4 Disney World theme parks. Details... 1 day Disney World Hopper PLUS. This ticket is good anytime at any of the 4 Disney World theme parks PLUS one (1) visit to a Disney Water Park! Details... 2 Day Disney ticket with hopping and 2 admissions to the water-parks.